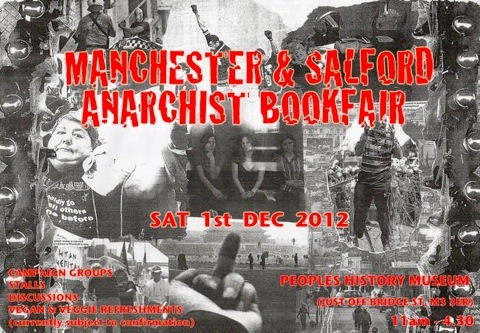 Come along to the Manchester & Salford Anarchist Bookfair on Saturday. 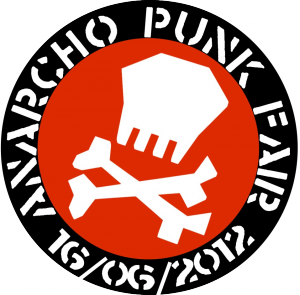 We’ll be there! David and Richard from Under The Pavement will be running a workshop at the OK Cafe (former Greenhouse on Great Western Street, off Curry Mile/ Wilmslow Road) on Saturday 17th July from 400pm-6.00pm. ALL FM’s Under The Pavement Radio Show present a workshop looking at the search for truth in a world of 24 Hour Rolling News. What’s the story and how do we present it? You’ll plan and record a short audio piece about the OK Cafe which will be broadcast on next week’s Under The Pavement Radio Show! Thanks to everyone who came along to our showing of “The Day The Country Died” documentary on Saturday 10th March at the OK Cafe. It was great to see a lot of new faces and hear a bit of audience participation heckling the interviewees! We’re showing The Day The Country Died, a documentary about early eighties anarcho-punk, at the OK Cafe at the Gamecock pub on Boundary Lane in Hulme from 6.00pm on Saturday 10th March. A couple of weeks ago our guest was Iain Broadley talking about the Pants 4 Peace project. As you can see he managed to get David and Cubesville, pictured with Allan in the centre, to pose for a picture in the big “Pants 4 Peace” Y fronts. £100 was raised which will be passing on to the station. 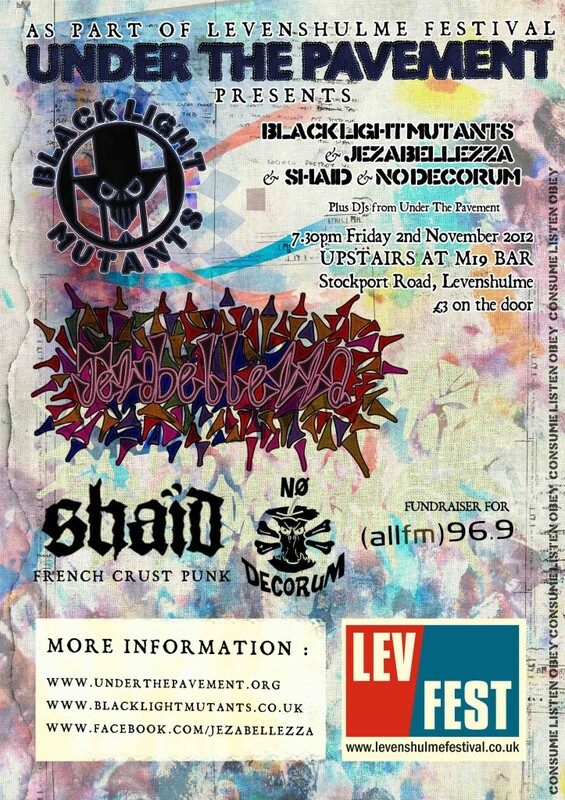 Thanks to all the organisers, all the bands and everyone who came to the gig.